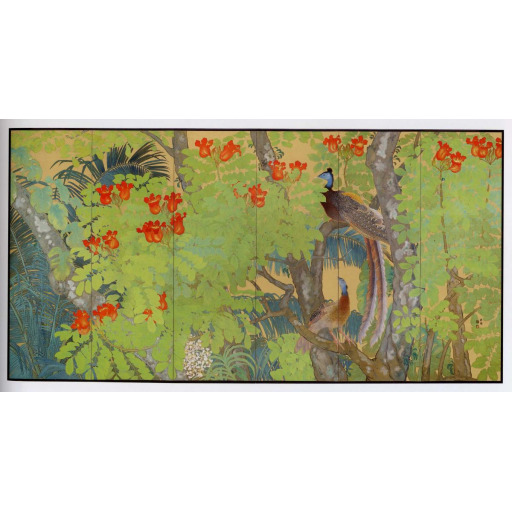 Rich, lush vision of a tropical forest with exotic birds. The intensity of the colors of the flora is dominant along with the details of the composition of the plants is shape, size and relation to one another. This panel is one of a pair. This is the right hand panel, and the left hand panel is of equal size and of similar subject, with variations. Thus together the work is over 24 feet long.